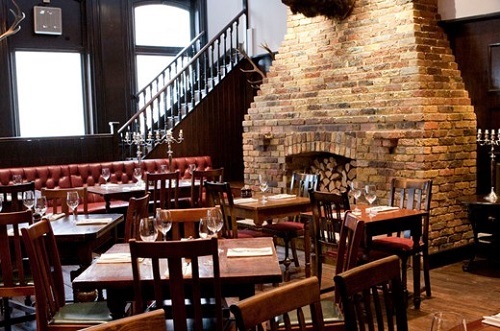 Situated on the King’s Road in Chelsea, The Cadogan Arms is a Gastropub with aspirations to be a Country pub. 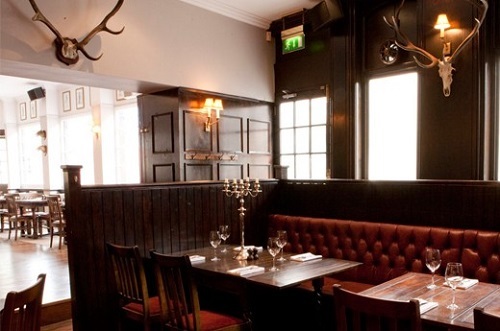 The hunting trophies may seem a little odd but the Country Pub ambience carries on through the bar into the dining areas. 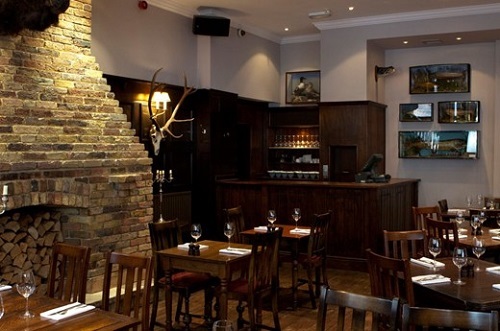 The main courses include Roast haunch of Suffolk venison, Grelot onions, pancetta, parsley root ravioli, bone marrow jus, there is Roast Iberico pork shoulder, almond purée, pickled plums, pork jus and Truffled spaetzle, purple broccoli, pea purée, hazelnuts, barrel aged feta. Desserts include Gooseberry fool, grape nuts, gooseberry sorbet, Vanilla cheesecake, hibiscus jelly, poached rhubarb, sorrel and Sticky date pudding, ginger bread ice cream, toffee sauce. 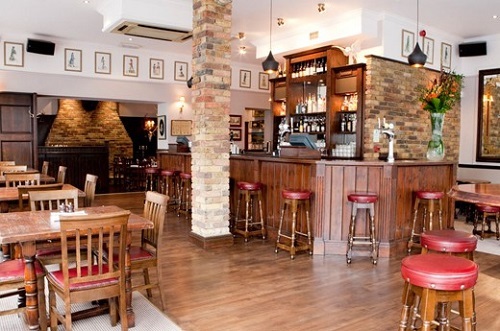 The Cadogan Arms is a piece of the “Country” in the City and offers a wide range of beer and wines.